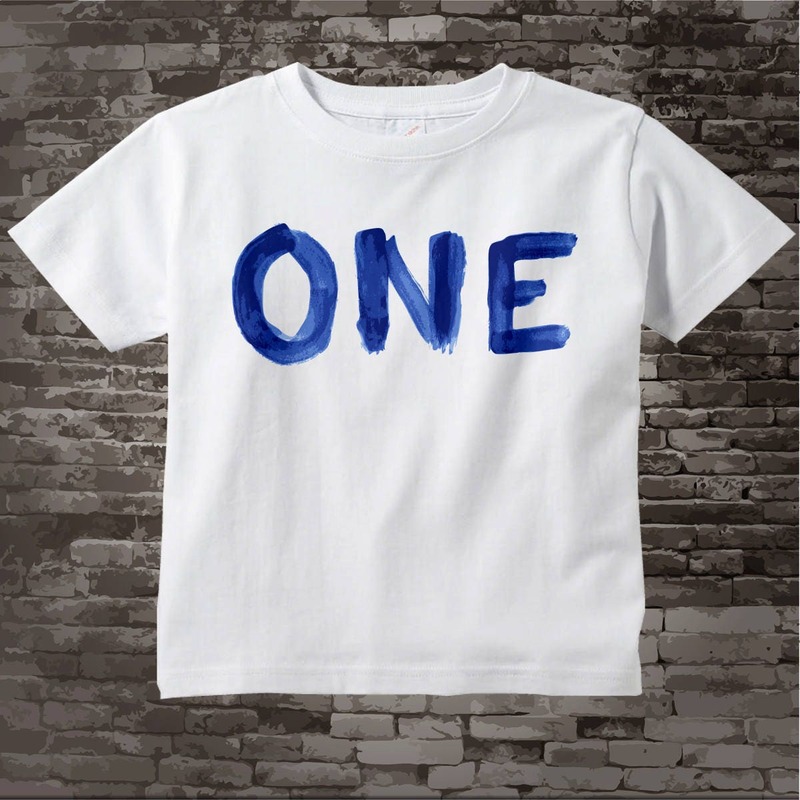 This cute tee shirt or Onesie big word ONE in what looks like blue water color. Perfect for your little One Year Old. 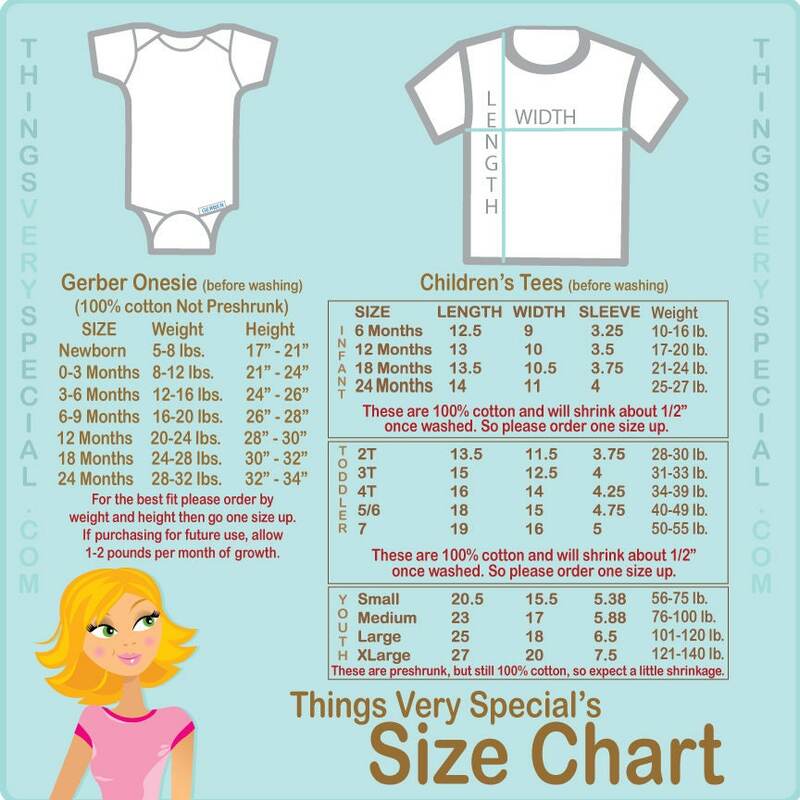 Infant tees are available in 12 month, 18 month and 24 month. Perfect! Great communication with seller. She was very responsive to my order change. 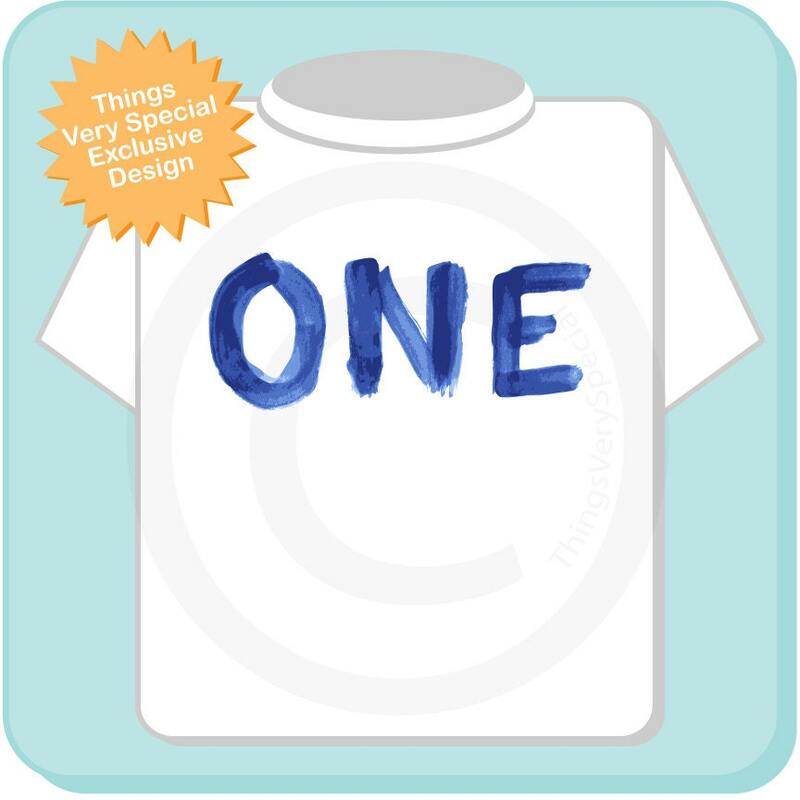 Adorable shirt! Thanks for reaching out about sizing, glad we changed it! Looks exactly like the photos. Perfect for smash cake photos and first birthday party.